Lovers of superfoods, rejoice! Tropic have packed their most innovative ingredients yet into this ultra-concentrated and scientifically tested serum, delivering a dose of nutrients and vitamins deep into the skin for a rejuvenated complexion that glows with vitality. Let the concentrated chlorophyll, kale and maca root extracts penetrate the skin for an instant vitamin boost - tired, dull skin will be visibly brighter, and feel soft and smooth. For troublesome skin, organic tamanu oil helps to repair inflammation, scarring and heal blemishes for a clear and even tone. affeine-rich green coffee extract stimulates skin cell renewal for brightness, and protects against pollution and free radicals, whilst silky, fast absorbing marula and kendi oils calm irritation and redness for a balanced, radiant complexion. 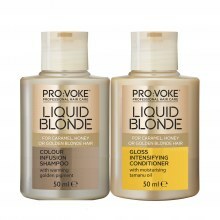 For more information visit: www.tropicskincare.com. 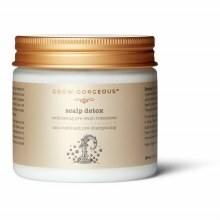 I was initially sceptical about the claims this product made, as it seemed too good to be true, but I absolutely love this, and will definitely be buying it again and recommending to everyone! It is easy to apply, just 1-2 drops is enough and it has made my skin feel silky smooth, soft and moisturised. Quite afew people have also commented on how I seem "brighter" and "radiant," to which I stated he product that was the reason for this improvement! Overall a fantastic product, cannot fault it! I've never used anything so green on my face before - it even smelled healthy! Putting the earthy aroma to one side, the serum was very runny, more watery than oily. This was unexpected but meant that it was easily absorbed into my skin. I was unsure how often to use the serum (no instructions) so used a couple of drops at night plus a few under my morning moisturiser. The dry areas of my combination skin definitely improved. I'm not convinced of any positive changes in breakouts or skin tone - perhaps spots cleared up quicker? Overall, I was pleased with the result although not sure if the difference would be worth the cost vs. my current cheaper facial oil. After using this serum I have to admit that the results are fabulous! (I only got a chance to use it for a week but I am sure that with a regular use the results will improve) A little goes a long way, so a few drops is enough to cover the whole face without the need for moisturiser. There is not much of directions to use included so I only used it once every night. It does feel a bit grease for a while so it's good to put at least an hour before bed to make sure that it absorbed well. Unfortunately the aroma it's not pleasant therefore I gave 4 stars and not 5(maybe that is a personal thing) but this won't put me off, as my skin didn't look and feel that well for a long time. 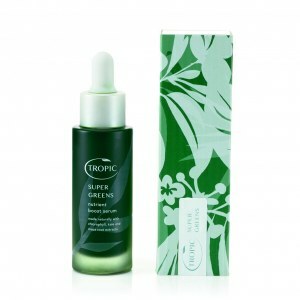 A few drops of this super green serum was enough to leave my skin feeling hydrated. The smell is definitely of the natural ingredients, therefore not chemical smelling at all. It initially seemed watery when I droppered it onto my hand, but then felt like other serums when I massaged it into my face. 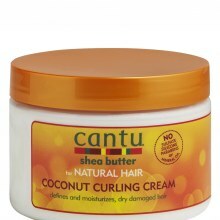 After using it I ran my hands through my hair to wipe off the residue and it left my hair feeling great too. However, the price is steep. I can't say it was any better than any other serums I've tried. The price alone is the reason why i wouldn't buy it again. Maybe it's a case of getting what you pay for because a little really does go a long way, but it is a lot for me to spend in one go. I haven't got terrible skin but my skin did feel a lot healthier after using this product. The packaging is lovely as well, however after not using it for a few days, the lid got stuck on the bottle and none of my friends could open it... Before that accident though, I've used it every day and I must say the ingredients used are all natural, which is amazing, but due to that, the serum itself smells really strongly of kale. I'm not a huge kale fan but I got used to it. After putting it on my face I noticed it's very oily, not in the bad way, it feels nice at the beginning, but then not all of the oiliness gets absorbed quickly and it took up to an hour for my skin to absorb it all. Would not recommend using it before makeup either, it made my sponge slide across my face leaving streaks in my foundation. 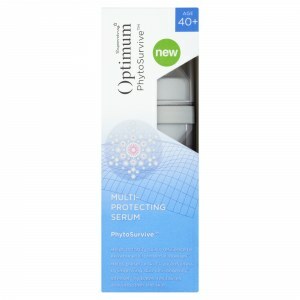 I will keep using the serum, because I like it, but I wouldn't buy it simply because it's too expensive in my opinion. I loved everything about this product- the smell, packaging, the companies beliefs and values. I loved how it calmed my skin, softened my lines, plumped and hydrated, helped with any irritation or scars/marks from previous blemishes. The packaging was hygienic and of a high quality and I can tell of the consistency of the product that it will last me a long time so will be great value for money. Will defiantly look at other products in the range. A great night treatment that will give you a rested complexion when waking. I am really impressed with this serum. My skin feels silky soft and smooth and it gives my skin a lovely glow. I don't like the smell, it's quite strong and "green" smelling but this doesn't put me off. I love how natural this serum is and I feel like it's giving my skin a good boost of nutrients. A little goes a long way with this serum so it will last a good while. I like the glass bottle and dropper, it was easy to use and looked expensive. By far the best serum I have used, leaves my skin hydrated, soft and my complexion more radiant. I have noticed a massive improvement in my dull, dry and dehydrated skin since using this serum and would definitely recommend it. Love this product, my skin has never looked so good. Overall my skin looks healthier and brighter. I found my make up went on well afterwards too. Fantastic serum!! Interesting product dont know one like it starts of very greasy takes a while to soak in but I feel my skin being healthier I like all the ingredients within the product however dont think its worth the price. Its very nature and tired looking skin looks healthier. Weird smell though. I was looking forward to receiving this product, but was a bit dissapointed. Ive been using it for about 2 weeks now morning and night and haven't really noticed much difference. I find it to be quite watery and the smell is quite horrible. Was really excited to be chosen to test this, however, not at all impressed I'm afraid. I was really put off from using this for more than a few days due to the smell, it is really strong and not nice, my husband was not impressed when he climbed into bed next to me and caught a whiff of my face lol. I also found it quite difficult to apply due to how runny it is and there was no instruction as when to use it. Because I couldn't stand the smell I don't think I used it long enough to notice any difference to my skin. I'm afraid its a thumbs down for me for this product. So far so good for me my skin laps up any moisture and a little if this product goes a long way it did leave my skin soft and smooth I like the fact it has natural products in it it left my skin very moisturised, hydrated and very soft and supple for me I only applied it once that is at night but it doesn't state how often it should be applied but but for me once every night is fine. So far so good I'm impressed. I'm not entirely convinced with this serum, yes my skin feel soft the following day after applying it at night BUT I use 1-2 drops at night and it leaves my face extremely greasy and oily, plus the smell is really off putting. In all honesty I wouldn't recommend it as it's really not for me and I can't recommend it to someone if im not 100% convinced with it myself but I'm sure there are others that will think differently. Been using super greens boost serum for two days now finding initial application a little greasy but after 30 minutes that seems to disappear my skin is feeing good though which is great!